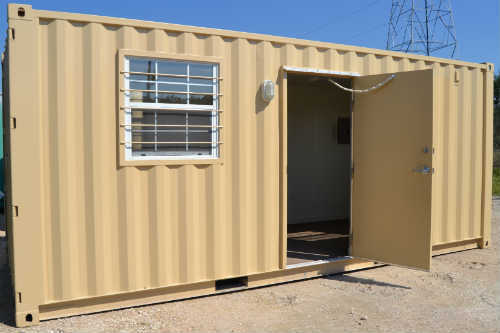 Add additional convenience to our open office container by choosing to include a half-bath. Employees appreciate this ground level office's climate controlled workspace with a clean and convenient attached bathroom. Convenient half-bath restroom with easily connected plumbing portal. Support for two workstations in comfortable work environment with climate control and office-grade finish out. 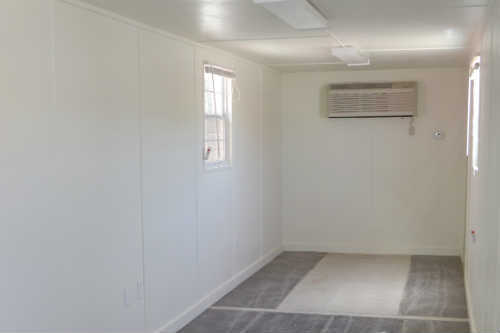 Includes steel personnel door, windows, plywood walls, insulation, HVAC unit, overhead lighting, outlets and 125 square-feet or 280 square-feet of work space.